The damage from the 7.0 earthquake Nov. 30 is currently pegged at $76 million, following a two-week preliminary damage assessment across Southcentral Alaska involving state and federal officials. The state plans to use data from the review to submit a request to the federal government before Monday for a major disaster declaration, said Logan Stolpe, a public information officer at the state Division of Homeland Security and Emergency Management. “Chances are the actual costs will be larger,” he said. If approved, the request could open up streams of federal funding to help residents, small businesses and local governments pay for repairs. “Some folks will not be made whole,” because of funding limitations, Stolpe said. 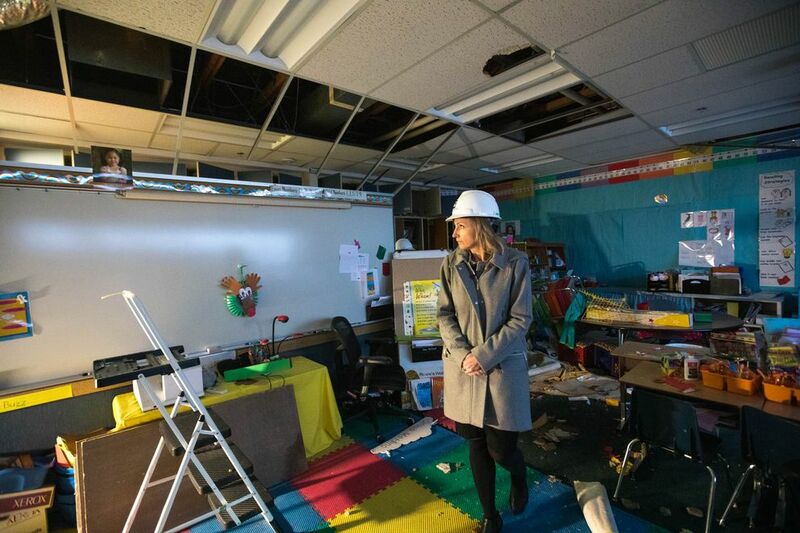 Last week, teams from the state, local governments, the Federal Emergency Management Agency and the Small Business Administration visited quake-shredded roads, severed water pipes and buckled buildings. The week before that, teams reviewed 620 of the most damaged homes in the region. Of those, nine homes were destroyed — seven in Anchorage and two in the Valley — where the cost of repairs exceeded the home’s value, Stolpe said. The review, from the Matanuska-Susitna Borough to the Kenai Peninsula, also counted 288 additional homes that had major damage, such as cracked foundations or compromised roofs. The overall cost of damages amounted to $28 million in homes, and $48 million to public facilities, he said. The assessment provided a snapshot of the quake’s overall impact, and a basis for calculating the preliminary cost estimate, Stolpe said. From it, the federal government will have a big-picture view of what happened. “Teams looked at areas with the most significant concentrations of damage,” Stolpe said. He said a map of the review wasn’t available to share with the press Wednesday because it was made by a FEMA employee, an agency affected by the partial government shutdown that began early Saturday. “FEMA folks have assured us (the shutdown) won’t hold up" the state’s request for a declaration, he said. After the quake — the most significant to strike the region in more than half a century — thousands of Alaskans immediately began inspecting homes, buildings and roads. The Anchorage School District has estimated the earthquake caused at least $25 million in damage. The city of Anchorage estimated it caused at least $30 million in damage to city-owned facilities. The Department of Transportation and Public Facilities said two weeks ago it had spent $25 million on temporary repairs. Teams visited many of those damaged sites in the review of public facilities, Stolpe said. “The numbers we have are definitely preliminary and are just an estimate. With disasters, (costs) become more clear as more repairs go on and more estimates are gathered," he said. President Donald Trump issued an emergency disaster declaration the day of the quake, opening up funding for immediate needs, and promised via Twitter to “spare no cost” for Alaskans affected by the quake. The federal transportation department quickly unlocked $5 million to help jump-start emergency road repairs. Thousands of homes were damaged by the quake. The state has received more than 6,000 requests for help under its Individual Assistance Program, primarily from people reporting damage to homes. The state’s application period is open another month, until Jan. 29, and more applications are expected, Stolpe said. The state has provided emergency housing support to 110 people from 31 households, he said. The recipients, displaced from homes, have been placed into hotels, he said. “The number of folks we have in hotels have fluctuated as we learn more,” he said. Under the Individual Assistance Program at ready.alaska.gov, the state pays a maximum of $17,450 for people dealing with the costs of the quake. The nontaxable grant can be used to cover damage to a main home, vehicle and essential belongings, plus medical and dental costs and insurance deductibles. Under that program, the state also provides temporary housing assistance to meet basic needs, 18 months for homeowners, three months for renters. 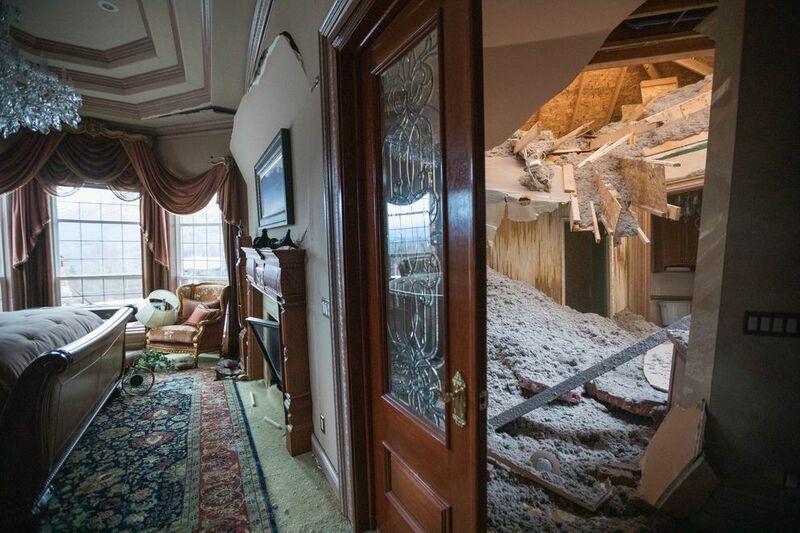 On top of the state aid, FEMA’s individual and household program, through an application process that begins if federal assistance is approved, will pay up to $34,900 for recipients covering costs for quake damage. “That’s two separate applications and the benefits can’t be duplicated,” Stolpe said of the state and federal programs. The SBA will also offer disaster assistance through low-interest loans to businesses, renters, and homeowners, if the federal assistance is approved.